Yes, it’s true—I have two more nonfiction series about publishing coming out in September! I know what people are thinking: she already has a ton of books about how to write books—why more? This post will explain how the next two series are different from Growth Hacking For Storytellers. 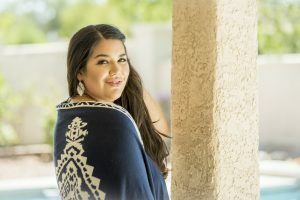 The first series, called the Book and Business Coaching series, is ideal for female entrepreneurs who want to write their first book and either traditionally publish or independently publish. 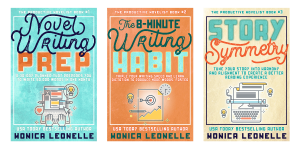 The second series, called The Productive Novelist series, is ideal for anyone who wants to write fiction, publish traditionally or independently, and is interested in telling great stories (there are a bunch of craft books in this series). Since this could be a bit confusing, I want to compare/contrast these with the series you are probably more familiar with, Growth Hacking For Storytellers. Growth Hacking For Storytellers in my view is very much about my personal journey in becoming an independently published fiction author, and what I learned along the way. I was often writing about experiments as I conducted them and sharing what made sense to me at the time. Both of these new series will have similar content and topics to what I’ve already written about, BUT the new books will also have lots of new content, be much more sequential, step-by-step (and it will make sense to read them in order), and will focus much more on delivering information than my personal journey. I’ve also looked at what people didn’t like about Growth Hacking For Storytellers and will be incorporating the feedback into the new series. There is SO MUCH that went into this decision and new strategy and I went back and forth for months weighing the pros and cons of how to set this up. I hope to share all of this in an upcoming episode of IgnitersTV as it could have gone a very different way! I am so grateful that my narrator and I sold 7000+ copies of the Growth Hacking For Storytellers series in audiobook. Grateful is part of it, but also shocked as I had no idea people would even be interested. The series has sold about 40,000 books total across all mediums, so 7,000 is a huge percentage! The one thing that A LOT of people said (especially after hearing me on podcasts) is that they wished I had recorded the audiobooks myself. This has nothing to do with our awesome narrator, who did an amazing job on the series. It has to do with people getting used to a person’s voice and feeling dissonance when they hear their words through another person’s voice. And hey, I get it! Since IgnitersTV is kicking into gear, this comment will probably come up more and more—so with these two new nonfiction series, I’m just going to bite the bullet. Additionally, we’ll be producing workbooks for many of the nonfiction books, as I love love love workbooks and we also noticed that people seem to take more action when they have a companion workbook instead of just a book. We do a lot of mini-workbooks for our courses already, so it makes sense to start fleshing them out and putting them into print as companion books to our regular books. Nothing is ready at the moment, but I’ll keep you guys posted as all of those links go up. Are you going to go back to Growth Hacking for Storytellers and finish the audiobook series? Take the series wide? Put out workbooks? Right now, I don’t have a ton of plans for the Growth Hacking for Storytellers series. There are seven books and it feels complete. Regarding taking the series wide, probably… maybe… eventually. The books actually barely sell on other platforms, historically. And pushing seven books + a bundle through on 5 other platforms sounds like a lot of work for little return. It’ll probably eventually happen, but it’s not a huge priority right now. Regarding audiobooks, I feel like it would be uncomfortable to take over the series when our narrator has already done five of them. It also may not make sense to do the last books as the more recent ones haven’t performed as well as the first several. Regarding workbooks, I never wrote the books with a workbook plan in mind, so I’m not sure it would work well to try to force that. Also, once a book is in audiobook, there’s not a lot of opportunity to make the (fairly straightforward) changes the series would need to be workbook-ready. Right now, it makes sense to move forward with new projects that are better designed with this end in mind. Overall, catalog maintenance is a different beast than putting out books as new releases. So while I’ll probably attempt to be good about upcoming books, going backwards sounds like a huge drag and a drain on my time and energy. Will you write in the Growth Hacking For Storytellers series again? I’m not sure. I have a book percolating about The Novelists’ Dilemma, building out deeper product funnels, and selling directly to readers, but people would have to be really interested for me to move forward with it. And if I did, it might make more sense to drop it into The Productive Novelist series instead. Should you read one of the new series? It really depends on your interest level and how much of the Growth Hacking For Storytellers series you’ve already read. 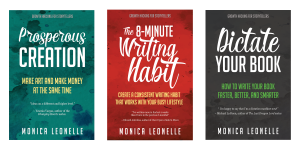 Much of my previous content from books, blog posts, videos, and more will be re-shared in these new books, as I’m writing them to new audiences who don’t know these things already. I would say if something catches your eye in these new books, give that book a try and see if it’s helpful to you. It’s still me, my insights, and my quirky humor. Each series has a slightly different focus, though. If you loved Growth Hacking For Storytellers, you are much more likely to also love The Productive Novelist. Again, there will be some overlap in content. 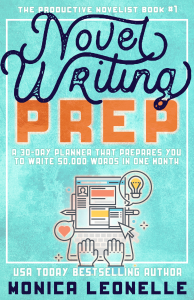 But there will also be some new books, including one about editing for marketability (so you can sell more books) and several books on book launching and book marketing with content that I haven’t shared previously. 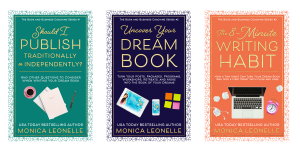 You can learn about the new series (and see the gorgeous new covers!) here under ‘Books.’ I hope you’ll check them out!